A dollar doesn’t go very far anymore, unless of course you’re crafty. If you are creative you can stretch a dollar far like I did with these Kid’s Table Centerpieces, straight from the dollar bin! 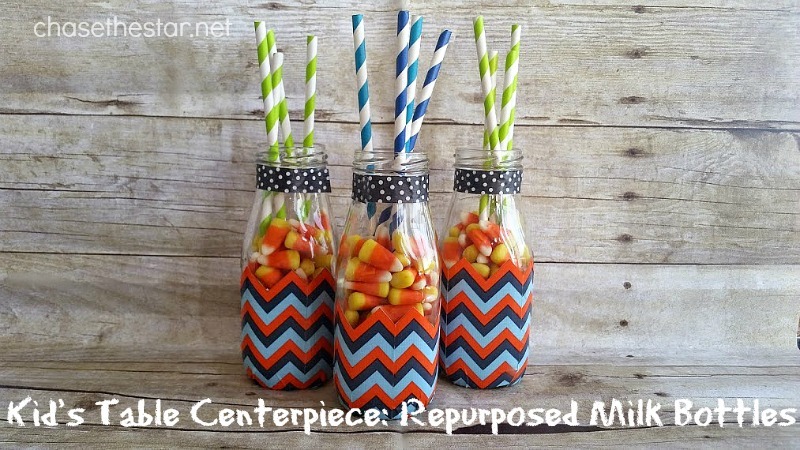 I picked up some glass milk bottles for a buck a piece and spent just a few minutes turning them into cute, modern, and, playful centerpieces that the kids will love at Thanksgiving dinner or any event this fall. 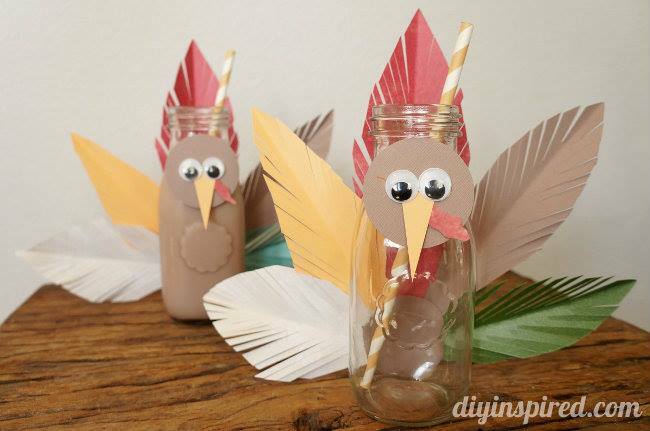 Follow this simple tutorial and adorn your kid’s table this season! 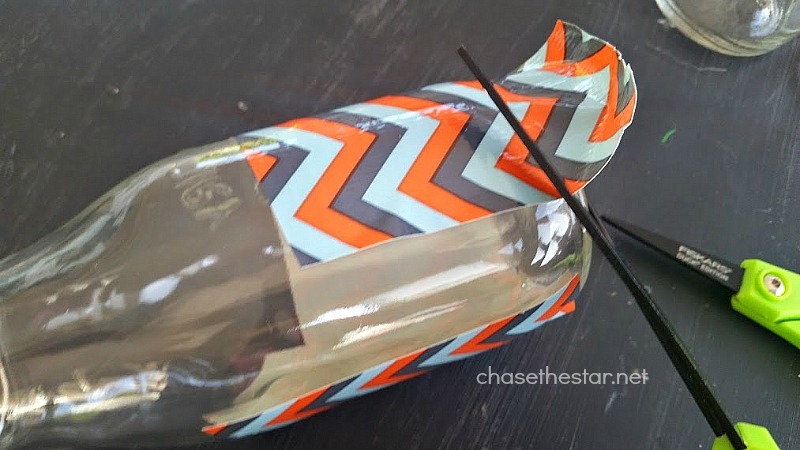 Cut a strip of the duck tape and place it on the bottle. I used smaller scissors specially made for detailed cuts (also Fiskars) to cut along the top chevron (zig-zag) stripe in the duck tape I chose. Repeat all around each bottle. 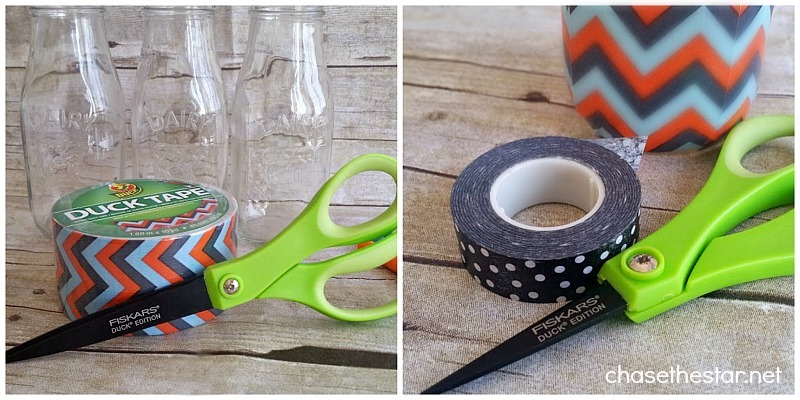 Add washi tape to the neck of each bottle. 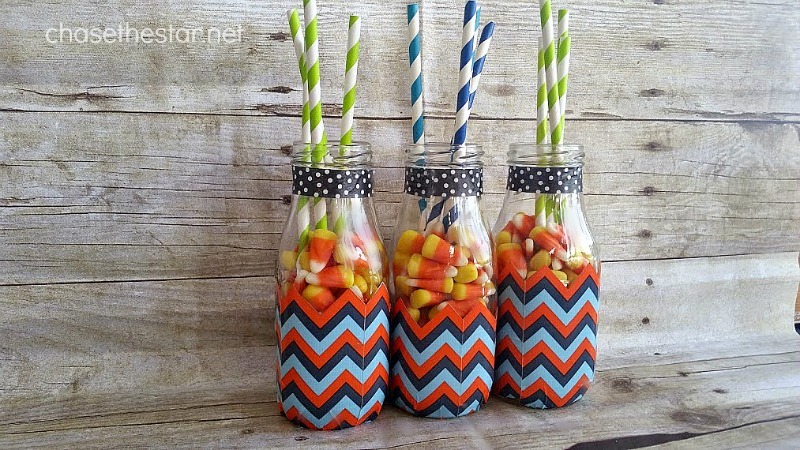 Fill them with candy corn and place the straws in them. The kids will love to use the straws for their drinks! Glass milk bottles are so versatile! These will look great at our kid’s table this Thanksgiving. Best of all, with a different pattern Duck tape I can change these up for other holidays and events. All for just a buck, some decorative tape, and lots of creativity! 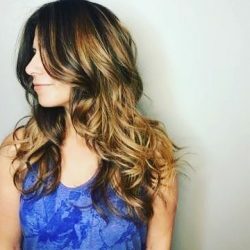 This project was part of a Dollar Bin Challenge that I took on with a few of my friends. 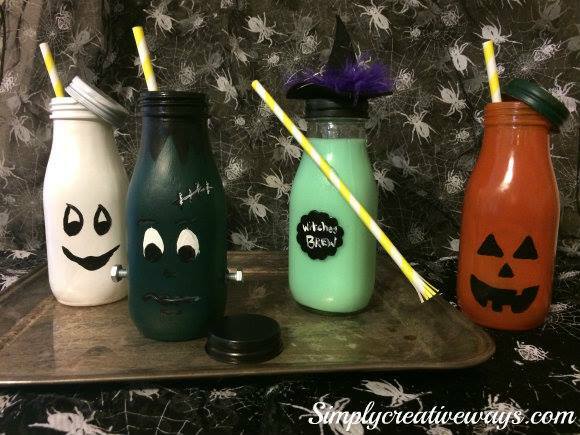 Check out their awesome ideas for upcycling milk bottles! 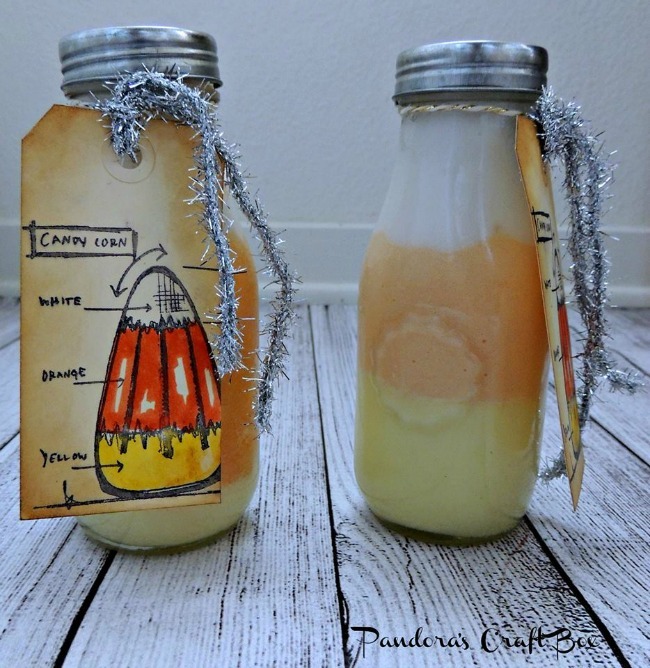 How cute are these milk bottle projects?? I hope you’re inspired to hit the nearest dollar bin and get your craft on. 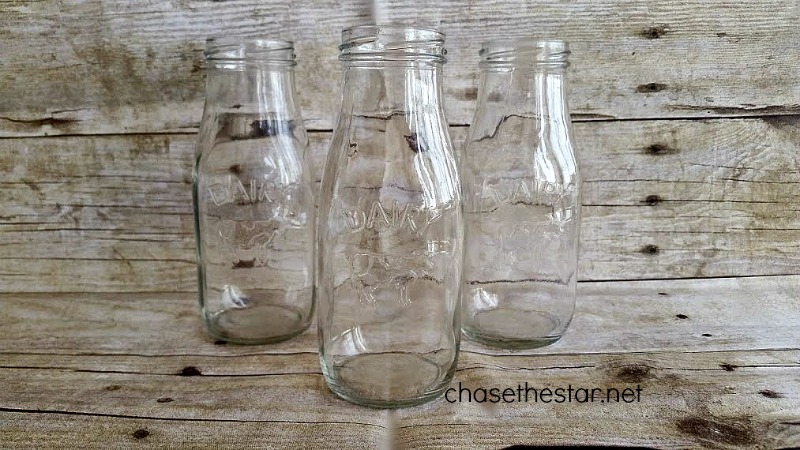 How would you upcycle these bottles?